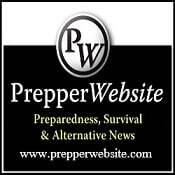 Urban Prepper Chick - Learn as I Go: Activated charcoal uses. A must carry.. I am always telling people to carry a little activated charcoal with them for water filtration. Or even make a mini water filter with a small PVC pipe and two end caps a rubber band and some window screen. But did you know that it has other uses!! For 1000's of years activated charcoal has been used without adverse side effects to help with medical issues. Also Click here to see how to recharge your activated charcoal to get long use from it. But I also like the video in my Pine sap post Click here....the video is of just that pine sap, but the process known as "Destructive distillation" will give you a high heat level to make a most effective activated charcoal....you need high high heat the kind you get in a pottery oven. But regular fire wood will do in an emergency. - Clean food ... It can remove bacterias, pesticides and heavy metals from fruit and vegetable. Add 1 or 2 tsp of chopped up charcoal to a bowl and soak for 15 min. -Activated charcoal normalizes cholesterol and lipid metabolism. -It is universal antidote for drugs, chemicals and poisons. Activated Charcoal can help with mild digestive upsets, stop diarrhea, viral and bacterial infections. It adsorbs toxins and can render them inert and carrys them through the digestive tract. Charcoal be digested by the human body. It is a valuable aid in the treatment of accidental poisonings. The powder can be placed in the mouth and moistened with saliva for swallowing. It can trap bacteria and help treat gum and tooth disease. Just by brushing your teeth with the powder. Rinse well! Slurry Form Place 4 TBS of activated charcoal powder in a pint size jar of distilled water, shake it up to mix well, and use it as needed. You may want to add a bit of sugar to it to make it taste a little better. Topically, Activated Charcoal is a powerful poultice for skin irritations. Charcoal compresses help speed the healing of wounds and eliminate their odors. Even on spider bites! 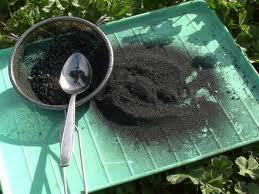 Place 1 to 2 tablespoons of Activated Charcoal powder into a sterile glass container. Add water to make a paste. Place firmly onto the skin and cover the poultice completely with plastic to hold in the heat and moisture. Activated Charcoal draws bacteria and poisons through the skin and into the poultice. Keep the poultice moist and warm to speed healing. . Change every 6 to 10 hours. Good and valuable information is here.